Nightsoles lead singer, Adara is mugged and left for dead. She wants to live. Using what energy remains, she forms a plan to seek help. A stranger stops at the entrance of the alley as she crawls her way out. Is this person here to help her or finish her off? Grimm, a rogue Reaper crouches down by Adara's body offering his assistance. Can she trust him? Adara realizes love at first sight is real, but he's a Grim Reaper and his feelings for her starts a Holy War. 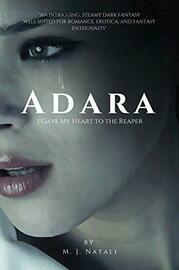 How can Adara and Grimm find a way to be together with Heaven's blessing?